I worked as a salaried animation instructor at the Disney Institute from its opening in 1996 up through 1998 when extensive curriculum and staff cuts were made. Besides teaching every animation course that was offered, including two that only I taught, I would do evening presentations once a month in the Performance Center and the D.I. Cinema on Disney animation. Since I was already on staff and salaried, I was not given additional compensation. However, there were many other guest speakers who gave presentations and were generally "comped" with a free room, food and other perks. Often the animation celebrity might be out to talk to Disney Feature Animation Florida and then would squeeze in an additional talk at the Disney Institute. Sometimes I would be asked to interview these guests on stage at the Performance Center or Cinema like Peter Ellenshaw, Bill Justice, Marc Davis, Joe Ranft and June Foray, among others. After a presentation, the animation staff would take some of these folks to drinks, dinner and dessert at Seasons restaurant. That one night with Ward Kimball and Michael Broggie was especially memorable and I remember it clearly today, even without the help of notes. Being eternally curious, I would sometimes do an informal, brief interview with these animation personalities either at dinner or in a captured moment between other commitments to later use in my articles and columns. Generally, I would focus on the Disney connections. I recently re-located some of the snippets that I transcribed and shared with the rest of the animation staff. In the following two examples, I learned that animator Eric Goldberg was not the first choice to animate the Genie in Aladdin and I learned the reasoning behind not having Buzz talk to Woody early in the first Toy Story film. Bill Plympton was born in Portland, Oregon, on April 30, 1946. Plympton is considered the first animator to draw every frame for an animated feature film by himself. All his life, Plympton has been fascinated by animation. He has created dozens of animated shorts including the Oscar nominated Your Face in 1987 and several animated feature films including Idiots and Angels. His cartoons and illustrations have been published in several newspapers and magazines including Vogue, Rolling Stone, Vanity Fair, Penthouse, National Lampoon and the New York Times. Animator Bill Plympton could have animated the Genie in Aladdin. On June 19, 1997 he visited the Disney Institute in Florida and spent time with the Animation team. I got to spend some time with Plympton before his presentation that evening. The following are some Disney related excerpts from that much longer conversation. Jim Korkis: How did you get interested in animation? Bill Plympton: Even though I started as a cartoonist, it was always animation that fascinated me. The movement of it all just captured my attention. I hate the Hanna-Barbera work. I am a big fan of Tex Avery and Bob Clampett because of the wildness of their animation. JK: Did you ever have any interest in Disney animation? BP: When I was 14, I sent Disney some of my cartoons and offered up my services as an animator. They wrote back and told me that while my drawings showed promise, I was too young to be hired and to keep drawing. JK: And did you keep drawing? BP: My mom used to bring home meat from the butcher store when I was a kid and when she unwrapped the butcher paper, she gave it to me to draw on. Sometimes the paper had blood on it so I just incorporated it into my drawing. Maybe that's one of the reasons some of my cartoons today feature so much violence. (laughs). JK: What was your early animation training? BP: As a kid, I went to Disneyland back in the days when you had to buy separate tickets to ride the rides. I saw a book on animation [The Art of Animation by Bob Thomas] and I just had to have it. My mom tried to tell me that the book was so expensive that if I got the book, I wouldn't be able to have tickets for the rides but I didn't care. Even then I knew I wanted to be an animator and I got the book. JK: Did you ever re-submit your cartoons to Disney? BP: Several years ago, Disney did approach me with a very lucrative offer and wanted me to sign up. I took one look at the contract and was appalled. Have you read it? They own every doodle, every thought, and every funny anecdote. And they could have put me on anything. I could have ended up doing Duck Tales. I just couldn't sign. I couldn't. JK: Did you ever figure out why Disney wanted you? BP: Later, I was told that Disney wanted me for the film Aladdin, specifically for the character of the Genie because of my experience and skill in doing metamorphosis in animation. JK: Do you have a favorite Disney animated character? BP: My favorite Disney animated character is Goofy. No, I can not draw a good Goofy. You want to know who can draw a great Goofy? Caricaturist David Levine. He told me it was one of the goals in his life. One time I saw him drunk and he took a pen and drew a Goofy and it was perfect. My film How to Make Love To a Woman (1995) is inspired by the old Goofy "How To…" shorts. I love those. JK: Do you have a favorite Disney animator? BP: I consider Preston Blair and Milt Kahl to be the two best animators in the entire world. I got a chance to meet Blair who had a stack of drawings from Red Hot Riding Hood and I just drooled all over them. I was devastated to find out that Blair was interested in writing computer programs rather than being passionate about animation. I love the Disney animated feature The Aristocats because it features Milt Kahl drawing Madame BonFamille, the owner of the cats, and since the artwork was Xeroxed onto cels, I can occasionally see some of the constructions lines and such and it just made the animation more vibrant and real. Born in Richmond, Virginia in 1949, Steve Segal began his animation career doing traditional animation for 10 years making commercials and educational films. 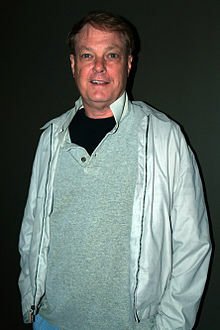 He co-directed the cult film Futuropolis with Phil Trumbo. Moving to Hollywood in 1984, he became fascinated with computer animation. 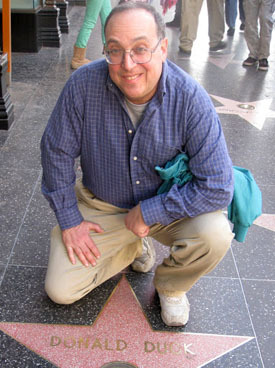 He worked on a variety of projects including the television series Pee Wee's Playhouse and titles for feature films. He joined Pixar as an animator on Toy Story (1995). After the film, he worked on CD-ROMs based on Toy Story, a film for Walt Disney World, the Pixar short Geri's Game and some commercials. The last project he worked on at Pixar was A Bug's Life. When he left Pixar, he concentrated on teaching and raising his two children. "I love watching animation and exposing people to it," Steve told me. "I once visited Ward Kimball at his house and he showed me his toy and train collection. That is still a high point in my life for me." In the spring of 1997, he dropped by the Disney Institute in Florida to visit some old friends who were working on the Animation team at the Institute. We took him out to dinner. Before that happened, he showed all of us a reel of some oddball stuff for Toy Story (including a scene where Buzz lifts his head but they forgot to give the command to move the eyes as well so two blinking eyes were floating on Buzz's chest) and told some stories. His demo reel of his work for Pixar is posted on YouTube. Jim Korkis: I am fascinated by the many changes that happened during the development of Toy Story. It seems they really spent time to "get it right" rather than just going with the first idea. Did the characters change as well as the story? Woody was originally designed to be a ventriloquist dummy and the final model of the face even had the lines around the mouth that dummies have to open and close their mouth. They used a bit of Tom Hanks dialog from "Turner and Hooch" with Hanks complaining about the dog in the car as a demo with the Woody model to "sell" Hanks on the project. SS: Woody was going to be meaner. Instead of accidentally pushing Buzz out of the window, he was going to do a fake handshake type of bit and yank Buzz out of the window. The demo had the brownish-purple Lunar Larry posing on the world globe when the huge face of Woody (which was about the size of Lunar Larry's entire body) appears next to him and says, "Andy really loves toys that can fly." Lunar Larry responds, "Really?" and as he prepares to leap off into the air, Woody spins the globe so that the leaping Larry smashes into the wall instead of leaping off into space. He slides down behind the dresser where he is trapped. Woody readjusts his cowboy hat and leans back for a nap and smiles, "Andy really loves toys he can find." JK: I heard they tried to get Barbie into the film but the company wouldn't grant approval, although I know "unofficially" those are Barbie legs on one of those mutant toys of Sid's. SS: Barbie was going to drive up in her pink Corvette to rescue Woody and Buzz from Sid and say in a Terminator-like attitude: "Get in if you want to live." JK: That would have been great. By the way, if Buzz doesn't think he's a toy, why doesn't he just talk to Andy to get help? SS: If Buzz doesn't think he's a toy, why doesn't he talk and move when Andy or other humans are around? The original script had Woody asking him that question and Buzz's response was "Just being cautious." SS: The opening of "Toy Story" was going to be cel animated. The storyboards show Buzz trapped in unbreakable bonds by the Evil Emperor Zurg as he plots to destroy the world. Buzz breaks out of his bonds and the Emperor unleashed his robot, Mongo, as he escapes. Mongo is the type of robot that fires off things like bolo bonds from his hands to trap Buzz. Buzz eventually defeats the robot and tracks down the escaping Zurg just in time to blow up his rocket ship. At one point during the story, Zurg tells Buzz that he is going to die and Buzz replies, "Not today!" That's the same line he uses later in the feature when he and Woody are up in the air strapped to the rocket and Woody cries out, "We're going to die!" Also, in that same sequence, when Woody cries out that Buzz is flying, Buzz's original response was "Technically, I'm gliding but let's not spoil the moment." It was one of the animators who suggested the line be changed to "I'm falling with style!" SS: Originally, when Buzz and Woody had to light the rocket, the match worked perfectly. This got a sort of "ho-hum" reaction from the preview audiences. So that's why it was restaged so a passing car blew out the match and they had to use Buzz's visor to light the fuse. Originally in the opening when Andy threw Woody on the chair, Woody would briefly readjust himself and smile. This bit confused audiences who wanted to know why Woody would act that way with Andy in the room even if he wasn't watching.